The walls of Jerusalem were in shambles, and one man—a cupbearer for the king of Persia—had the courage and vision to lead the project of repairing them. With the King's permission and with God's guidance, Nehemiah journeyed to Jerusalem to lead that huge and difficult assignment. God's Blueprint for Success revisits ancient Jerusalem and observes the skill Nehemiah displayed as he provided direction for God's people. From organizing workers to keeping them safe from threats to leading them back into fellowship with God, Nehemiah exemplified true leadership. 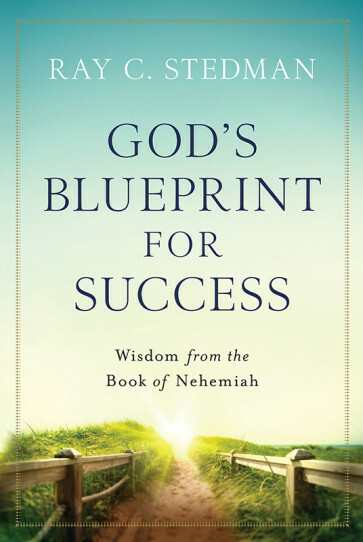 Discover a blueprint for success that shows you how to rebuild areas of your life that may need repair. Find out how you can work despite opposition, talk with God and understand His ways, avoid burnout, and effectively lead others in the work God has called you to do.